← Bikers! And not the Lance Armstrong kind. how can he use super-smell with a bandanna on his face like that?! 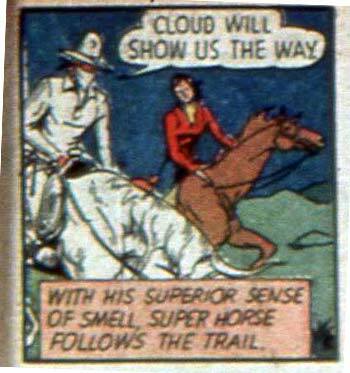 But I thought Supergirl owned Super-Horse! Horse theives! They stole Superhorse, and probably that otehr horse as well. By the way, Superhorse’s mane looks like a dog.